Spring cleaning is most people’s least favorite part about the new year. Yes, it’s great to have a clean and fresh house, but doing the actual cleaning can be tedious. It might help you to have a good list of the essentials, so you know where to focus, rather than switching to a new task constantly and trying to do everything! Inside everyone’s home there are different things to be done, depending on what the house is like. But, the list for outside remains pretty standard for most houses. Do these five things and the outside of your house will be well set for another year! I doubt that anyone enjoys climbing up on a ladder to remove gunk from the gutters, but delaying this task could be bad news for you once the rain starts falling. Clogs and built-up dirt can lead to leaks, cracks, and worse. The last thing you want to deal with is water damage caused by bad gutters! If you don’t want to do the job yourself, you always have the choice to call a contractor to get the job done for you. There are a lot of spring cleaning deals available in many areas. 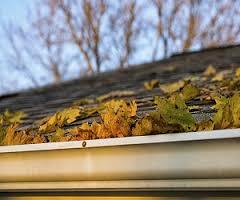 Read: Why is it important to clean your gutters? Windows can get really dirty over the course of the winter. Spider webs, grimy dirt, dust, and general filth can easily build up in the windows over time. Since your windows were probably closed all winter, you’ll really want to clean them up before you start opening them up to let in the fresh air. Break out the squeegee, duster, and some Windex and get to it. Your poor grass has probably been sitting for weeks or months with a blanket of snow crushing it. 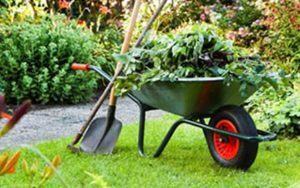 Winter can be difficult for a lawn and a garden, since you won’t be getting out to maintain the grounds during the colder days. Spring means it’s time to get outside and clean up the area to get ready for new growth. If you keep a garden, you’ll want to till it up and prepare the ground for planting. Winter is also hard on paint and house siding. Give the outside of the house a good once-over to see if there are any noticeable issues. 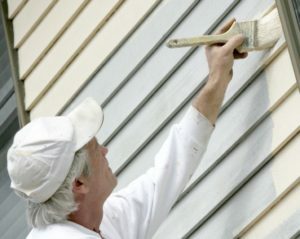 If there are problems with the paint or siding, you may want to look into re-doing it or repairing the spot, if possible. If you haven’t cleaned and stained your deck since last spring, or even before that, there are bound to be mildew stains and other visible blemishes. 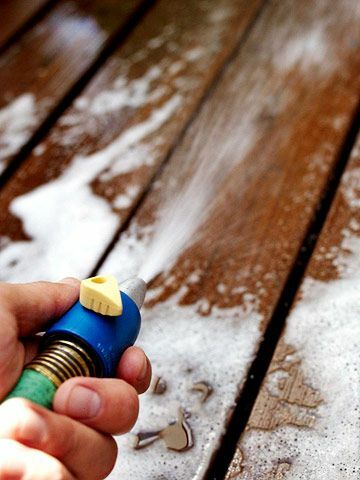 Rent a pressure washer and buy a deck cleaning solution to give the wood a fresh look again. Then, help to protect it with a beautiful stain product. Plenty of colors exist for you to choose from when you are ready to start staining. Your home will need some help to be ready for the warmer months. Make sure you’ve done your due diligence to get the place ready for the new year once again!